If you've responded to an interest rate hike on your credit card by opting out of the changes, which the Credit CARD Act of 2009 allows you to do, you may think you've dodged a bullet and avoided the spike in payments. But before you celebrate, be wary of mishaps that can nullify your agreement with your card issuer and have you wrestling with a higher rate and unfavorable terms once again. 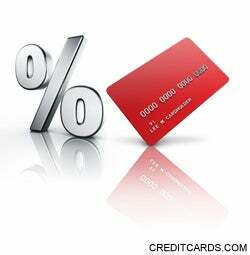 In August 2009, consumers gained the right to opt out of credit card rate increases. Opting out means the consumer can no longer make purchases with the card. Instead, the old, lower interest rate will be applied. Don't slip up, or the new, higher rate will apply. For details , see the CreditCards.com guide to the Credit CARD Act of 2009, or this opt out sample letter. "If consumers decide to opt out of an interest rate increase for future balances, they still are going to have to pay off the existing balances, so that doesn't automatically cancel their card," says David C. Jones, president of the Fairfax, Va.-based Association of Independent Consumer Credit Counseling Agencies. "But it does eliminate the use of it unless they want to pay the higher rate." 1. Remove the card from sight. Consumers, on average, have 5.4 credit cards, according to credit card statistics from the credit reporting agency Experian. With so many cards on hand, it's not far-fetched for a consumer to accidentally pull out the wrong one when an emergency comes up. "We all want the security of knowing that if we break down on the tollway or the hot water heater breaks down, we have a card available," says Catherine Williams, vice president of financial literacy for Houston-based Money Management International. "But we have to understand that that is not the card to reach to." To avoid making a mistake that can literally cost you, cut the card up or put it in a drawer where you're not in danger of using it. 2. Check automated bill payment accounts. If you've used that card to pay bills online, make sure you cancel any automated payments because, again, the use of your card will tell your credit card issuer that you agree to the new terms. If you're switching your bill payment accounts to another card, do it early because "sometimes it can take up to 60 days for changes to go into effect," says Jones. Even if you generally use a different card for your online bill payments, make sure the card number you're no longer using isn't stored in the account, which can happen even if you've only made a payment once using that card. 3. Consider annual and sporadic fees. It's easy to remember what monthly bills you use your card for, but what about those charges that occur infrequently such as annual membership dues that are automatically billed at the start of each year? Don't rely on your memory. Instead, look at a year's worth of billing statements to see what charges occur infrequently so you can have them switched to another card, Jones advises. 4. Remember the season of shopping. With the holidays approaching, you may be visiting your favorite online retailer to buy some gifts. However, if you've ever shopped with the credit card you're no longer using, that card's information could still be stored online the next time you make a purchase. When you log on to your favorite retailers, check to see which cards they have on file. Make sure the card you're no longer using is not one of them. 5. Protect yourself from fraud. Approximately 7.5 percent of U.S. adults lost money through financial fraud last year, and the majority of them had their credit or debit cards compromised, according to the Stamford, Conn.-based research company Gartner. Unfortunately, thieves don't even need your physical card to do damage. "It used to be that I had to thump you over the head and steal your purse," says Williams. "Now I can do it electronically and you'd never even know it." The stakes are even higher if you've agreed not to use that card because a fraudulent charge could trigger your card issuer to change your card's terms to the higher rate. Since you're not using this card anymore, take it out of your wallet and don't leave it laying around. If thieves do get hold of your card number and use it to charge something, call your credit card issuer immediately. By federal law, you're only obligated to pay up to $50 for a fraudulent charge on your credit card, says Frank Dorman, a spokesman for the Federal Trade Commission. You'll still have to convince your credit card issuer to leave your rate alone, which you should be able to do in the case of fraud, Williams says, but it's better to avoid fraud in the first place. "You don't want to be spending your time doing this," Williams says. See related: Cardholders gain right to opt out of rate increases Sample 'opt-out' letter, You have new rights to keep your old rate, Will opting out hurt my credit score?